AndAndrea Joy! 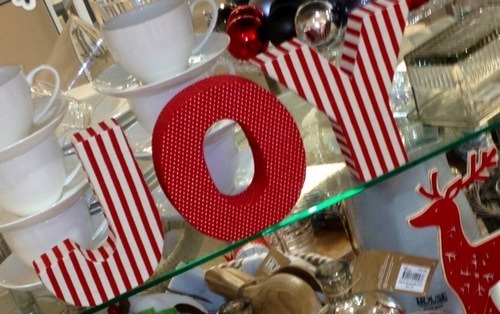 I really hope I’ve sprinkled some ‘Joy’ in your world throughout 2012. Being a huge Chrissy fan, I’ve been baking, decorating and on the hunt for a fun little Christmas tee. 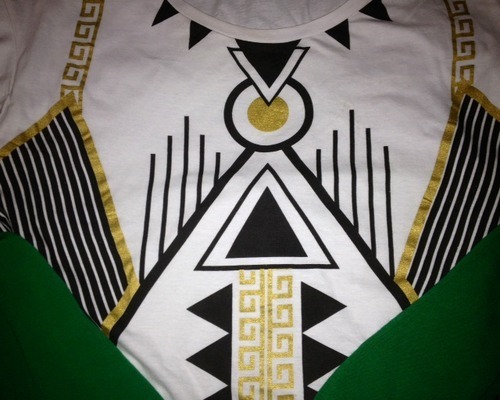 My top pick… Gold, Black and Green! This little tee is a ‘Cotton On’ $15 bargain! It’s currently available in all stores! 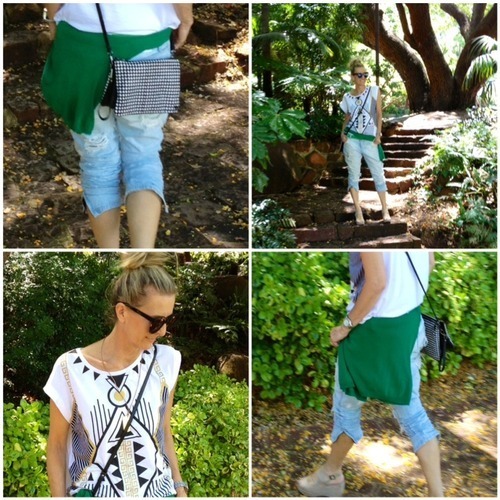 Love the striking aztec print. A green cardi adds Chrissy edge! 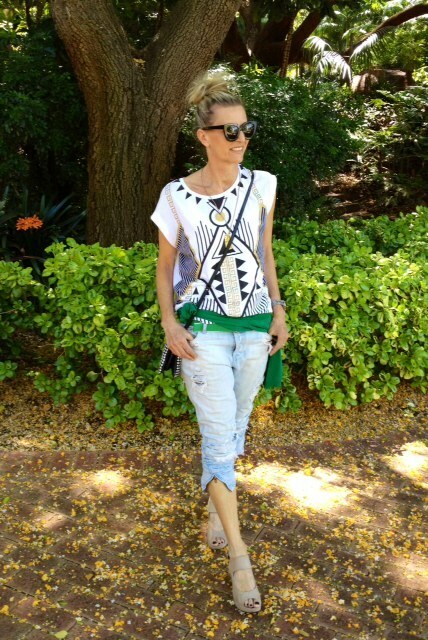 Teamed with ripped camilla & marc jeans, David Lawrence pouch, Juliette & Django wedges and Karen Walker shades… casual fun. 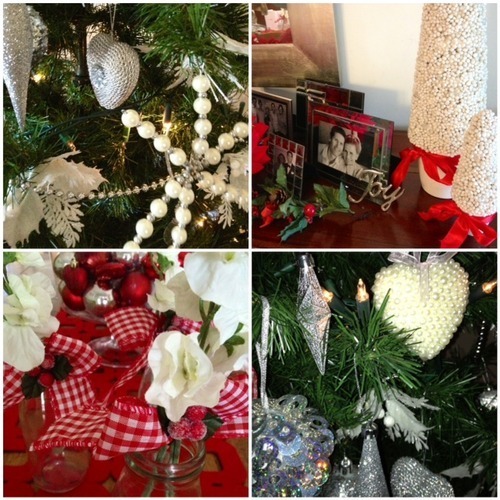 Chrissy tree laden with hearts and stars, baby milk bottles filled with checkered bows and peonies, holly and snow cones. 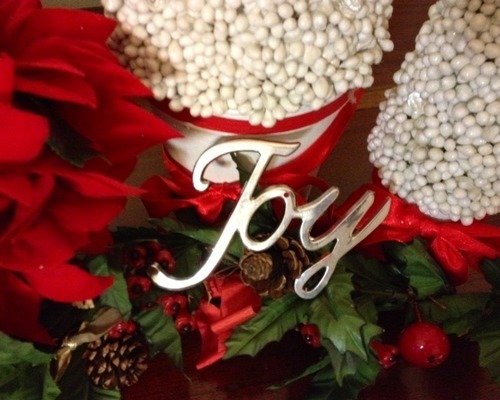 They’re all little touches that help create AndAndrea Christmas cheer. 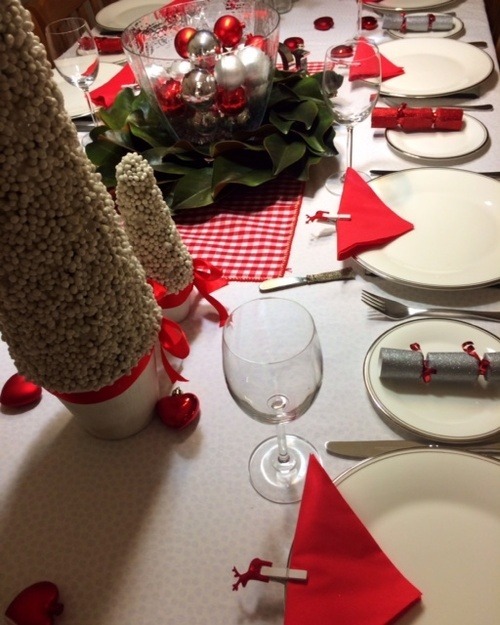 This year’s theme, silver, red and white. It’s the little things that make Christmas special. 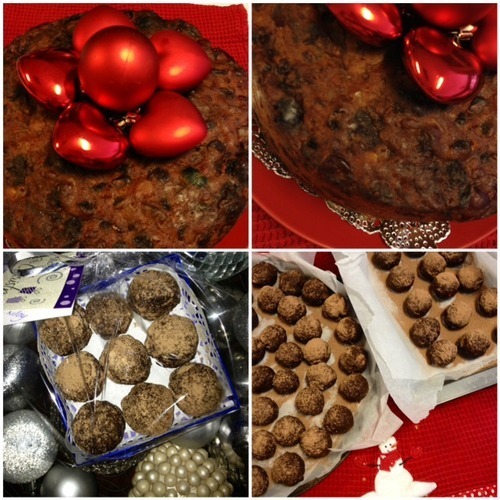 Dee Dee’s sensational home made Christmas cake and my secret recipe ‘Rum Ball’ gifts, all wrapped and ready to go. It’s not Christmas without Jamie Oliver’s MUM”S trifle!! 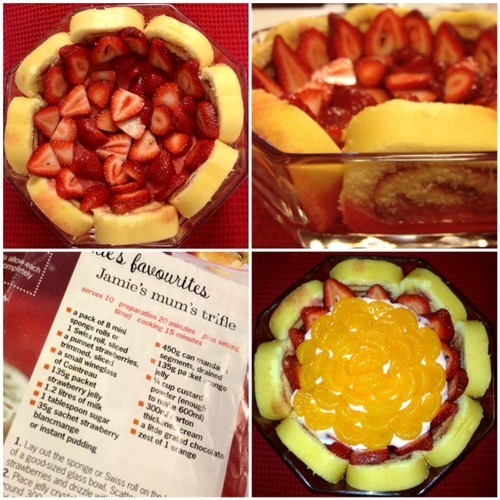 I make it every year and it’s always a big hit! This one above, is a ‘work in progress’ and needs another custard and jelly layer to be complete…(tomorrow!). 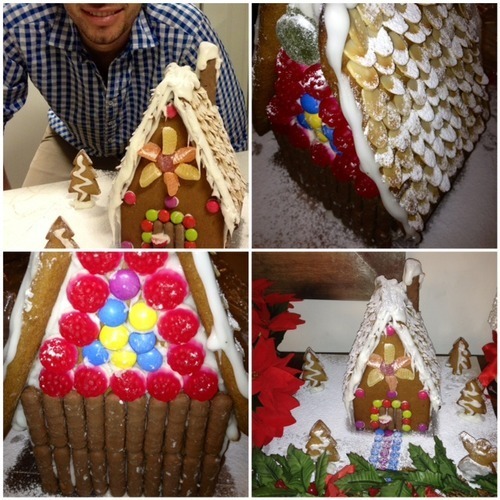 The Gingerbread House made with love, by Rachel and my son Beau will take centre stage on our Christmas table.